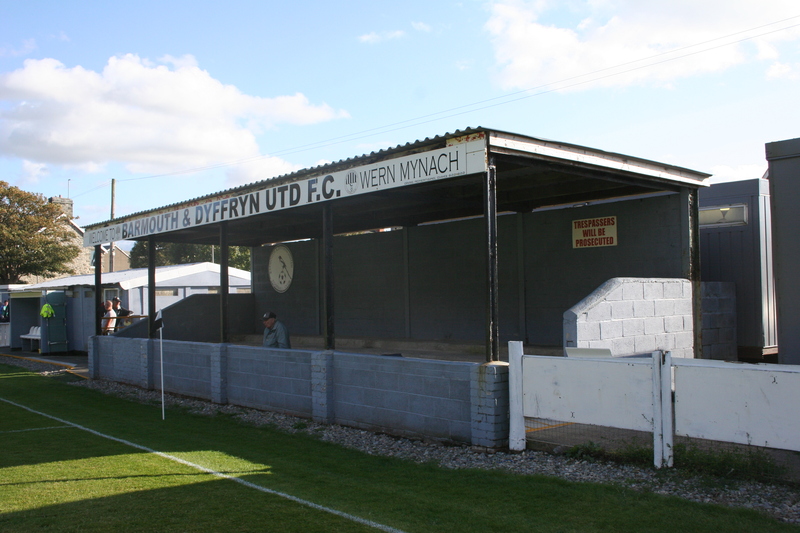 The Welsh Alliance League sits at level three of Welsh football and takes in clubs from Anglesey, Gwynedd, Conwy, Denbighshire and even into Flintshire to the east. 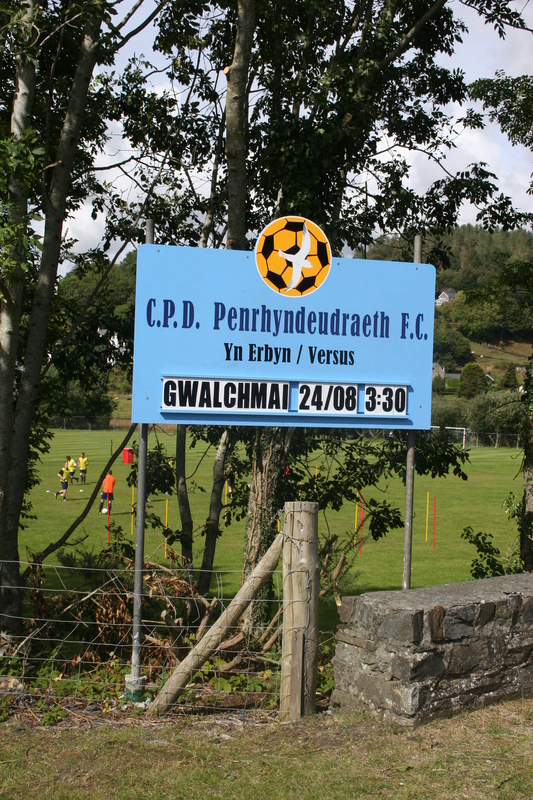 Formed in 1984 it promotes into the Cymru Alliance and relegated to the Anglesey, Gwynedd and Clwyd leagues. 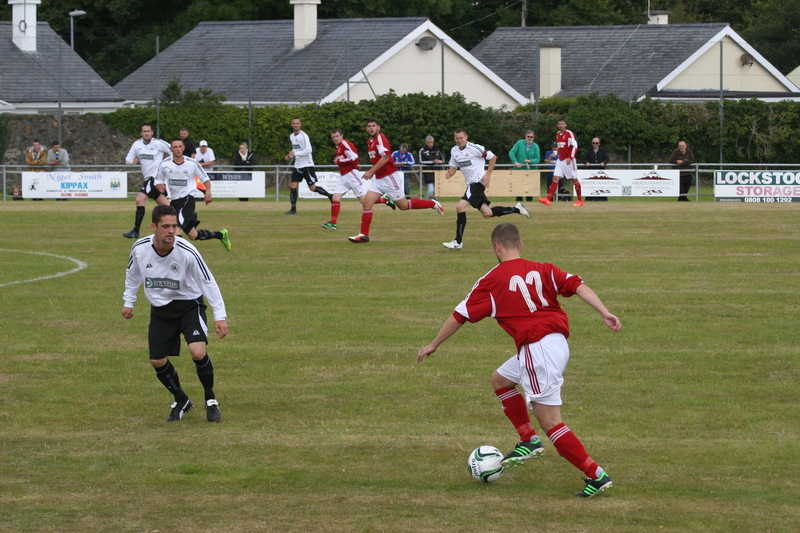 The second of three groundhops taking in the league’s clubs took place over the long August bank holiday weekend. 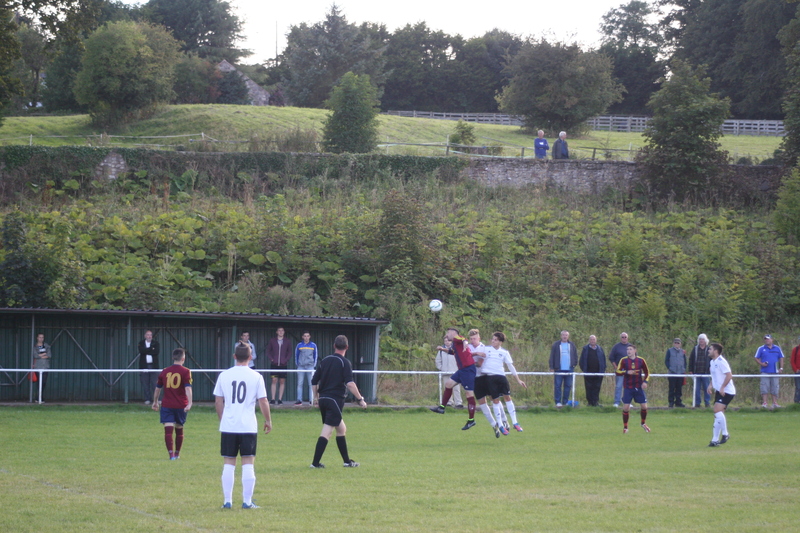 Halkyn United were formed in 1945 and played in the evocatively titled Mountain League, a pre-cursor to the Clwyd League. They originally played on a pitch adjacent to Village Park in Pentre Halkyn before moving to the field next door to Halkyn Cricket Club at Pant Newydd. 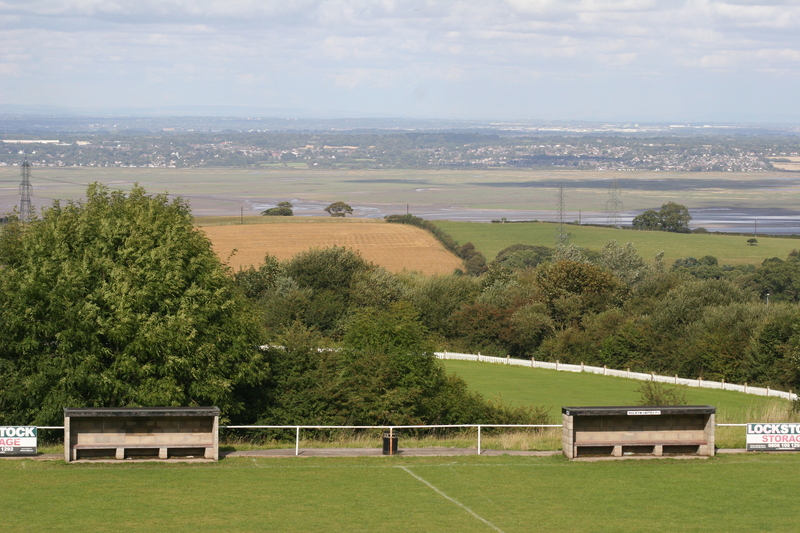 On a clear day the elevated view takes in sights as far as Blackpool but today a chemical works, Widnes Power Station, the Wirral and the River Dee proffer a varied backdrop to the game. The game itself is won very comfortably by the visitors with a goal in each half. This is a shame for the hosts who were in the Cymru Alliance only eight years ago. 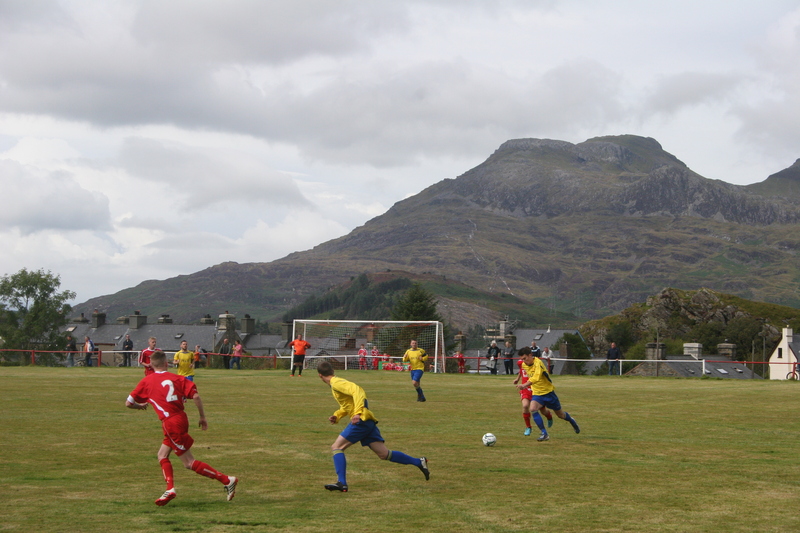 Football in this famous Welsh seaside resort dates from 1879, the first match being against Porthmadog. The club initially played on a field next to the railway station but in 1899 the town’s new recreation grounds were opened by Solomon Andrews an entrepreneur synonymous with the development of the town as a tourist resort. Nowadays the pitch is adjacent to the town’s leisure centre and it is a very decent facility. The hosts win a thrilling end-to-end game by the odd goal in nine thanks to a brace of quality goals from Carl Jones and a hat-trick from substitute Rhodri Scott. Weeks before the hop Nefyn had announced that they had no choice but to step down to the Gwynedd League due to struggling to attract players. 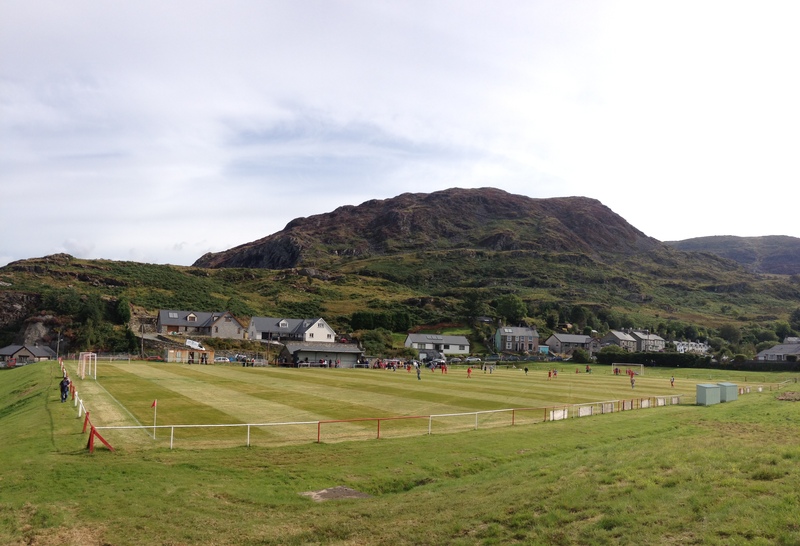 It seemed a shame to miss out on such a scenic ground so the right thing to do was just watch a Gwynedd League match instead. Cae’r Delyn is a scenic wonder with stunning vistas of the Iron Age hill fort Garn Boduan to the west and the peaks of Gwylwyr Carreglefain to the east. The match highlighted the host’s inadequacies in terms of playing strength but it was nice to see a hefty handful of banknotes being gleefully counted at the end of the game. Just as long as Mickey Thomas hadn’t been in they will have done just fine out of the occasion. The club has archives dating back to 1863 which makes the club one of the oldest in Wales. 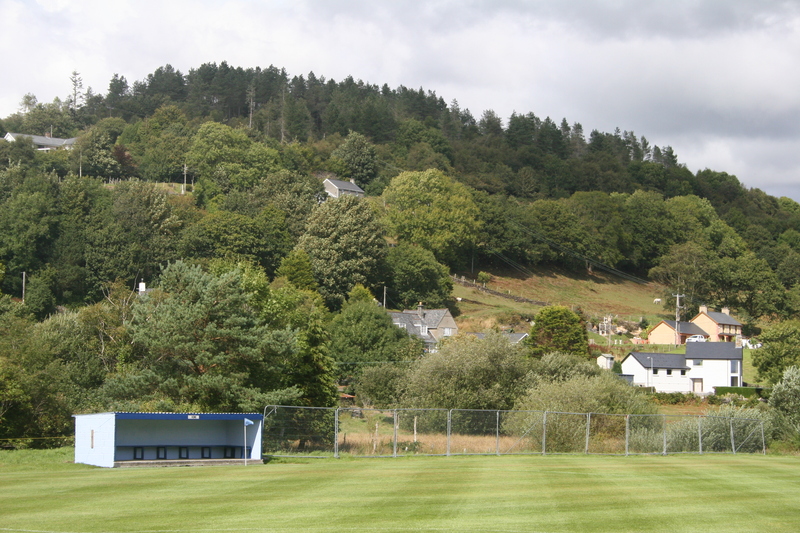 The club play at Wern Mynach which nowadays has a nature reserve at the north end which has been developed out of a disused landfill site. 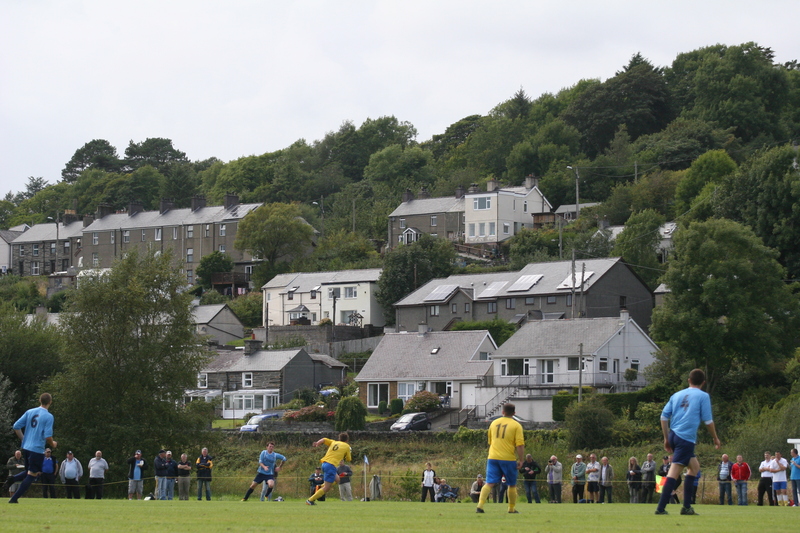 The club have played in a variety of leagues over the years including the Cambrian Coast League and the Central Wales League. 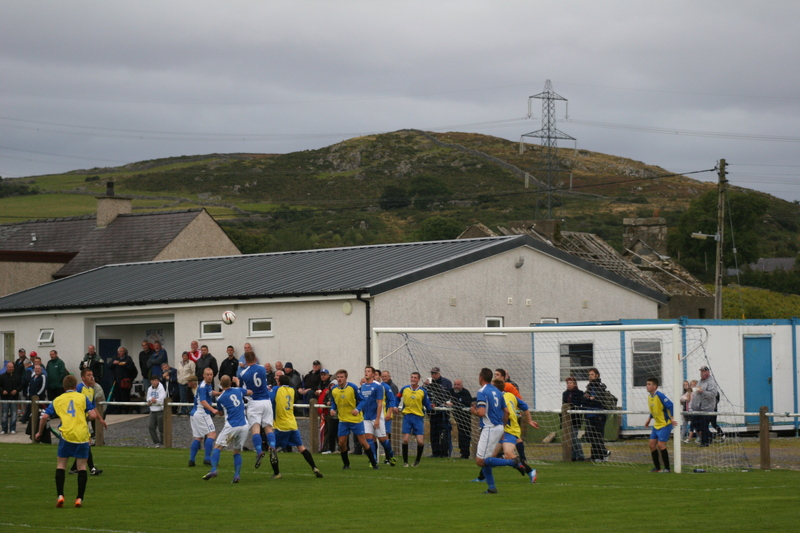 The club won the Gwynedd League in 2006/07 but were denied promotion to the Welsh Alliance on ground grading issues. 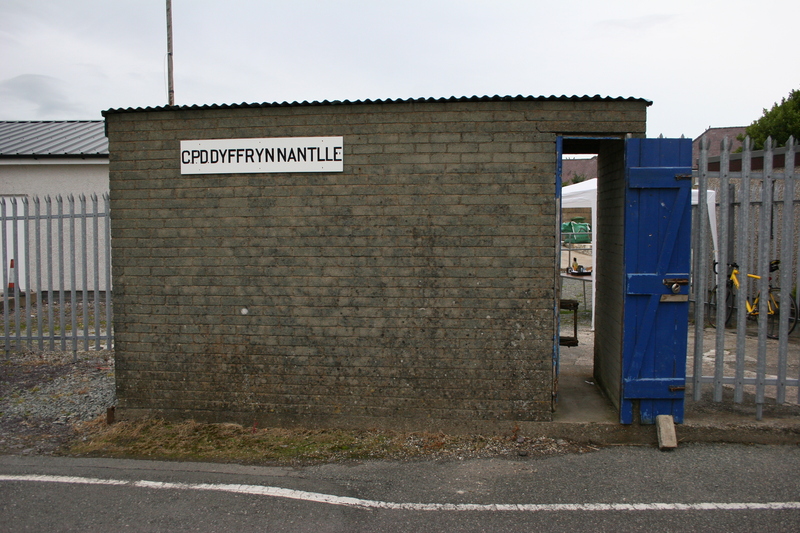 To their consternation the following season’s champions, Llanllyfni, were promoted with inferior ground facilities. 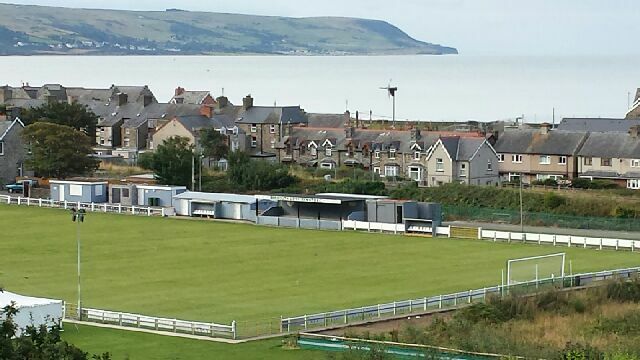 Barmouth appealed to the FAW and were granted a belated promotion. The current team play some excellent football and were far too strong for the visitors from Llanrwst, a super hat-trick from captain Paul Lewis leading the way to comfortable three points. Probably the ground most people were looking forward to lies in the heart of the slate mining area of this mountain town. 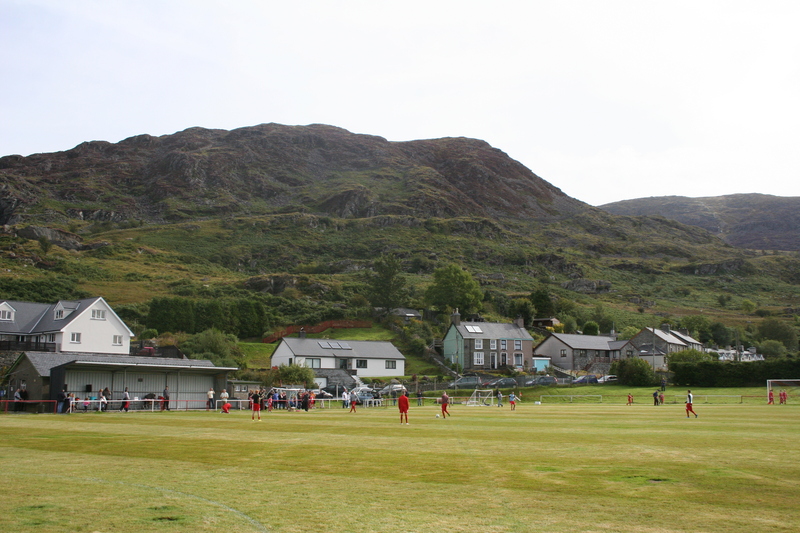 Football had been introduced to the town in 1885 and clubs like Ffestiniog Town, Blue Stars, Ffestiniog Juniors and Ffestiniog Athletic played regular friendly matches. The original Blaenau FC being formed four years later in 1889. 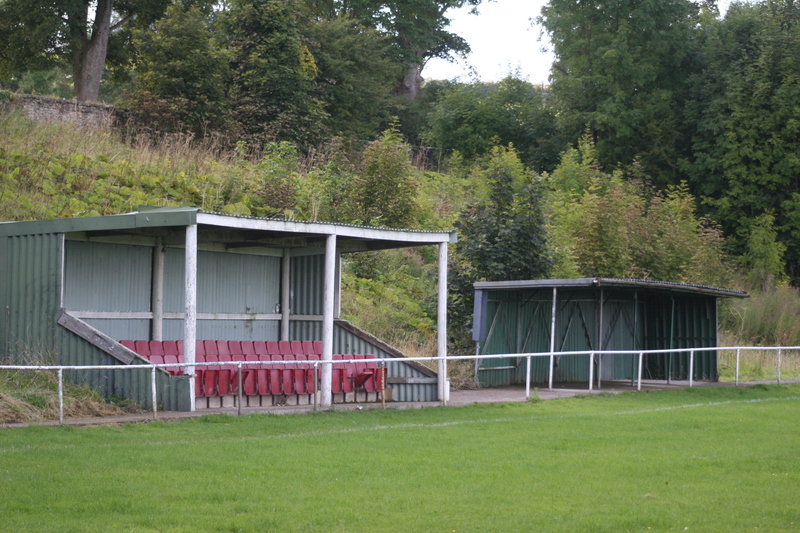 With flat land at a premium the club lead a nomadic existence playing at Holland Park, Manod Recreation Ground, Newborough Park, Oakley Park, Haygarth Park, and later still at Tanygrisiau’s Y Ddôl ground before the council provided land at a former refuse tip at Congl-y-Wal in Manod in 1956. The club had a policy of signing semi-pro players from the Liverpool and Wrexham areas and this became unpopular locally and the club floundered. 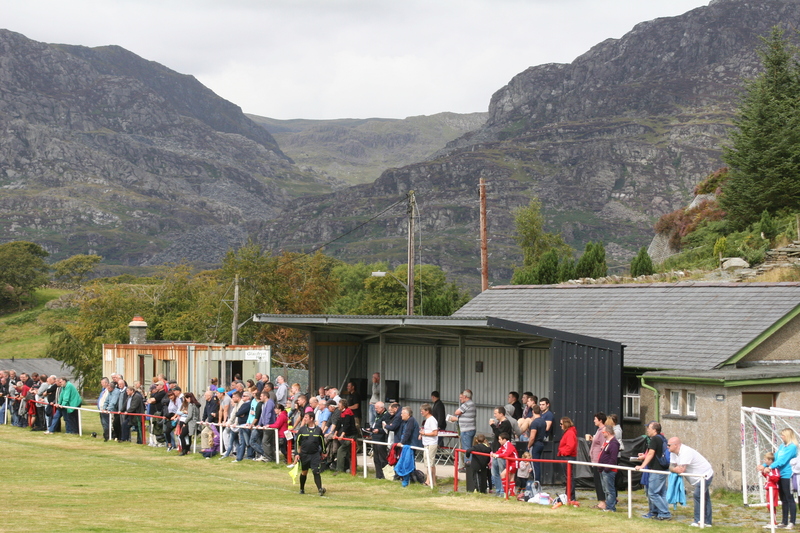 In 1980 a new club was formed in the North Western Hotel and notably called Blaenau Ffestiniog Amateurs. 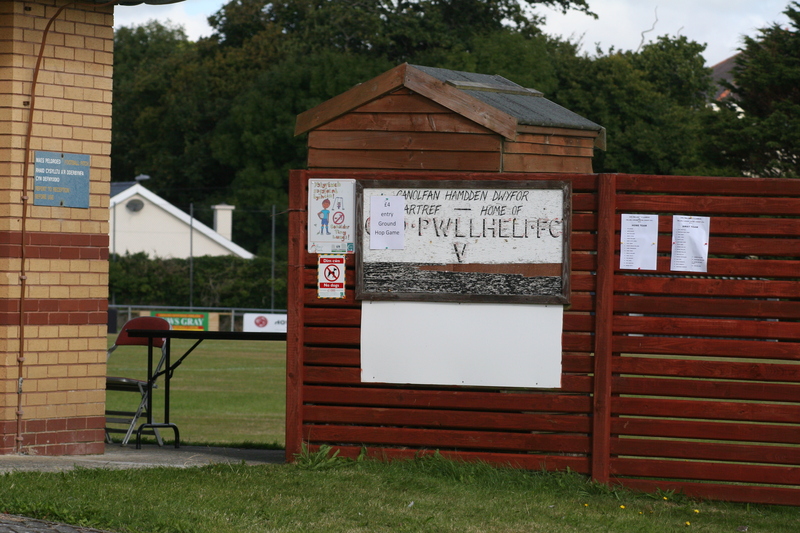 The club progressed through the Vale of Clwyd and Gwynedd leagues gaining promotion to the Welsh Alliance in 2009. Even though the Cae Clyd ground has long lost its railway platform canopy as cover against the elements, the modern replacement on the opposite side serves its purpose admirably as the second half is hit by mountain rain. The precipitation seems to galvanise the home team as they overturn a 1-2 halftime deficit in a one sided second half. A truly magical ground and cradle of the game football. Penrhyndeadraeth have a bit of a problem, the on field success of the team has seen them outgrow their relatively basic Maes Y Parc ground. 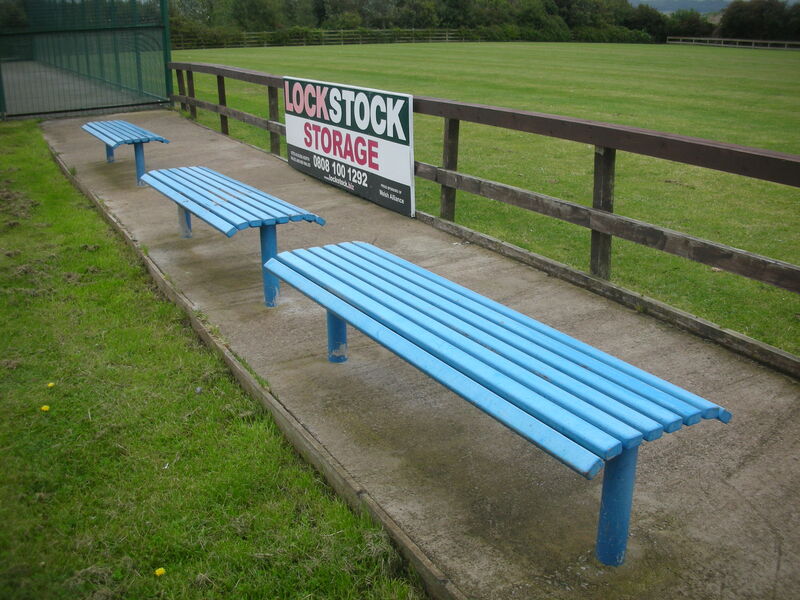 Winning Division 2 of the Welsh Alliance last season has seen them enter into a season of “grace” for required facilities like hard standing and a post and rail pitch surround. 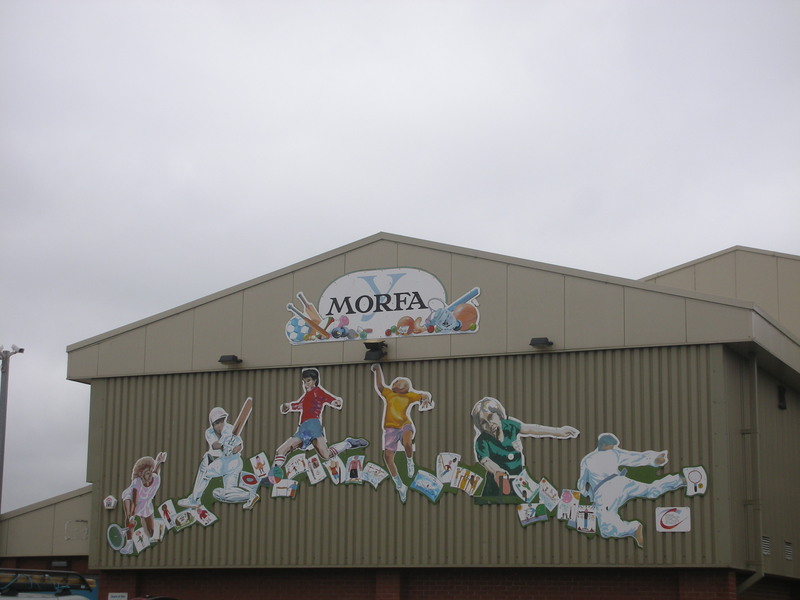 Formed as recently as 1981 the club has dashed through the Caernarfon and District and Gwynedd leagues. The club has certainly exceeded the town’s previous pre-eminent club, Cookes United, the successful works side of the Cooke’s Explosive Works who competed in the Cambrian Coast League. The company became part of ICI and the club and works closed in the 1990’s, their Cae Cookes ground became derelict. 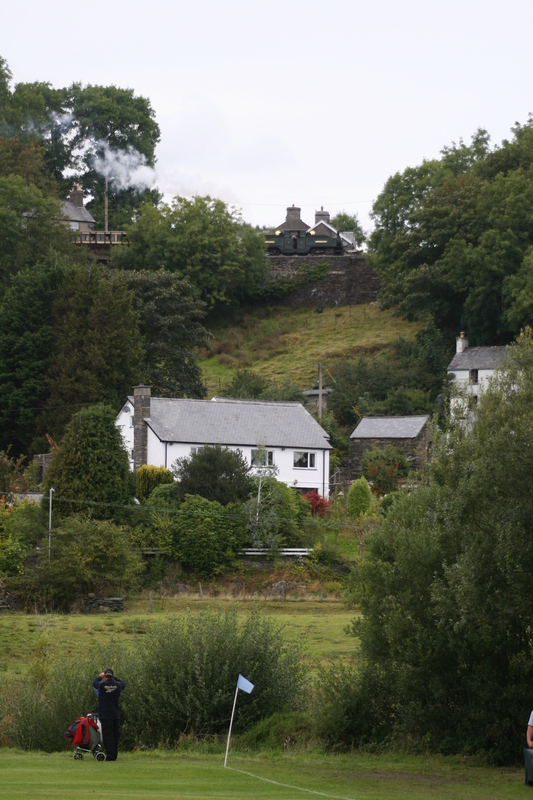 An somewhat attritional draw is played out with Gwalchmai and the proceedings are pleasingly interrupted but the distinctive horn and smoke of the Ffestiniog Mountain Railway passing the ground. The day ends in the small village of Pen-y-groes in the heart of the Dyffryn Nantlle slate quarrying area. 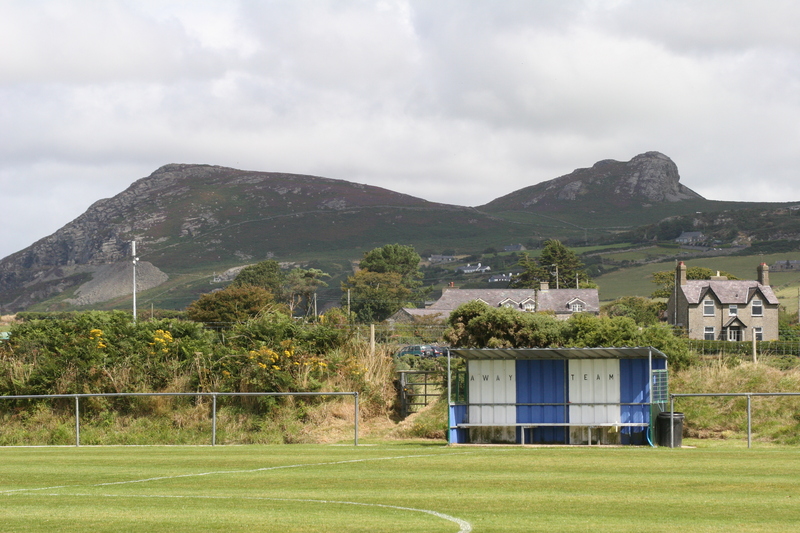 Nantlle Vale FC have a rich heritage dating back to 1920. The club won the prestigious Welsh League (North) in 1960. In the 1970’s the club gained notoriety for its robust play under the guidance of player manager Orig Williams, who was a professional wrestler known as El Bandito! 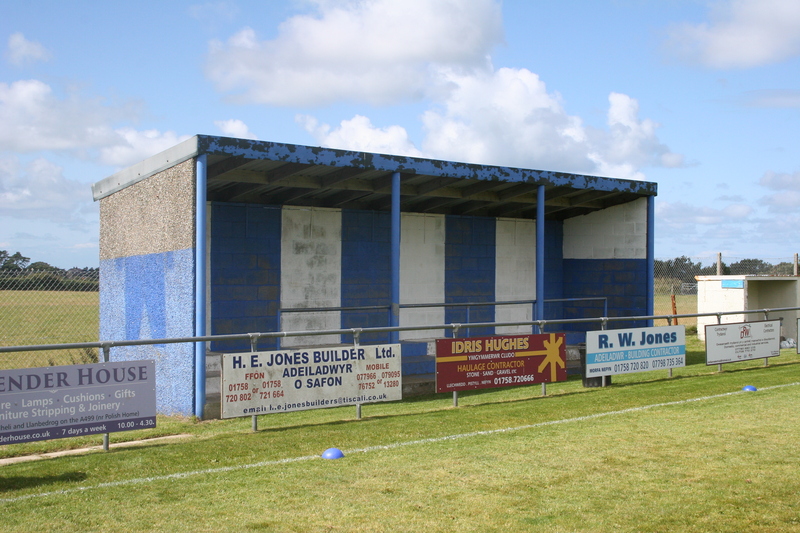 The Maes Dulyn site had become very run down by the mid 2000’s so in 2007 the club embarked on an impressive series of improvements and now boast one of the best grounds in the league. 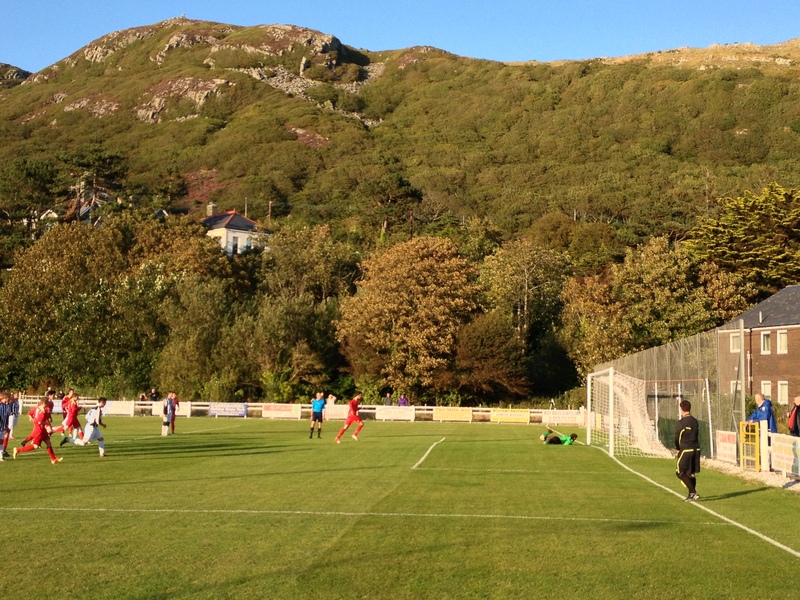 The team is equally impressive tonight dispatching Amlwch Town with some ease. 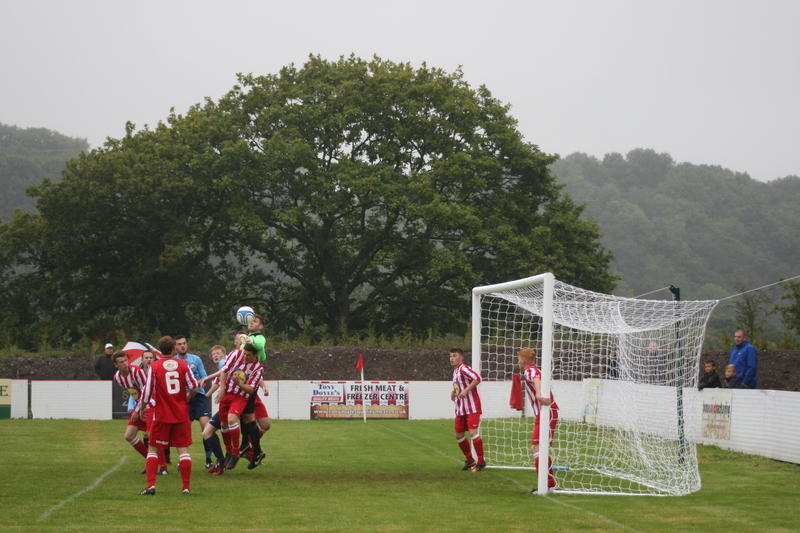 The club traces its’ heritage back to 1893 and the formation of the Holywell FC team who sported the same red and white stripes as the modern club. 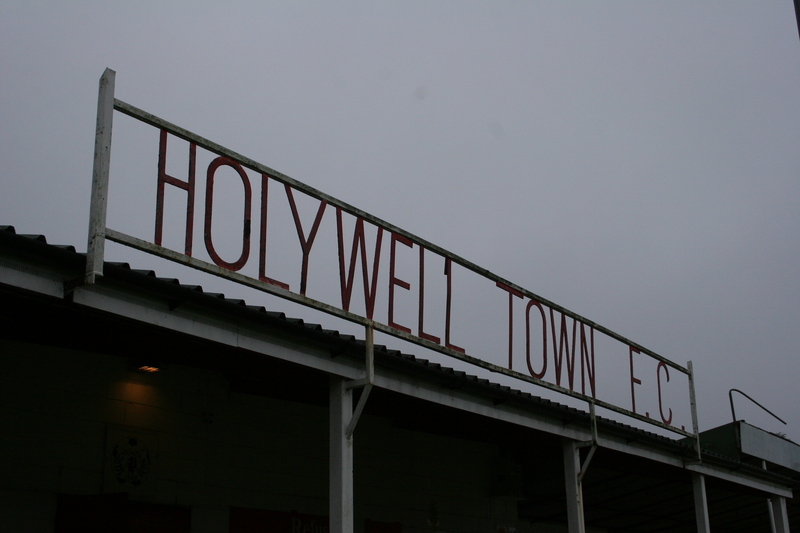 Holywell United and Holywell Arcadians were pre-cursors to the post World War II reformation of the club. 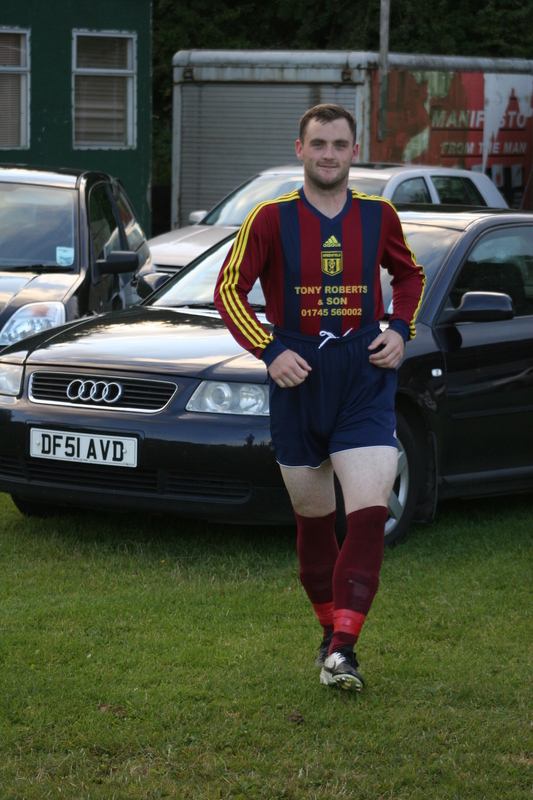 Prior to then the various town clubs played at Ffordd Fer. 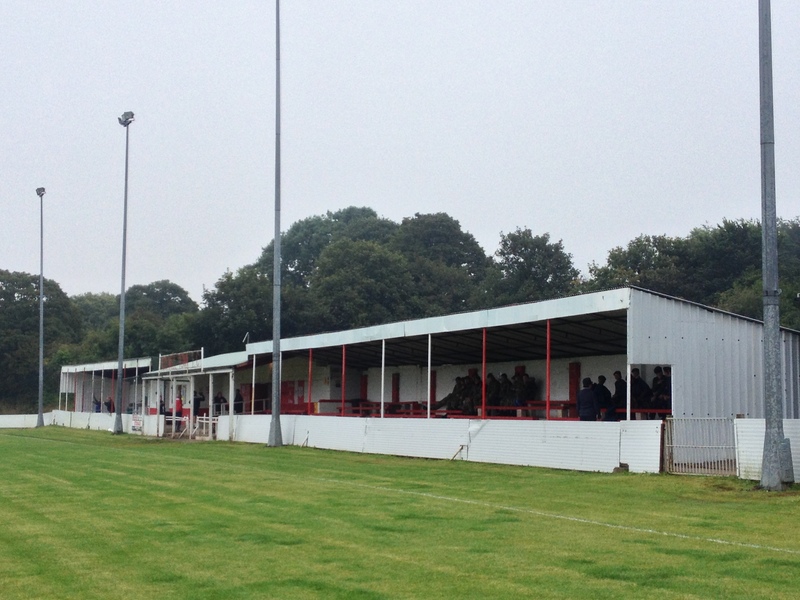 With a school having been built on the land, a new ground off Halkyn Road was opened in 1946 and Holywell Town became one of the biggest clubs in Wales. Such was their record they became founder members of the League of Wales in 1992 although they were relegated from that league for a second time in 1999. The present day team has some steel to it though, galvanising under the motto “refuse to lose” they brush aside a workmanlike Llandyrnog side. 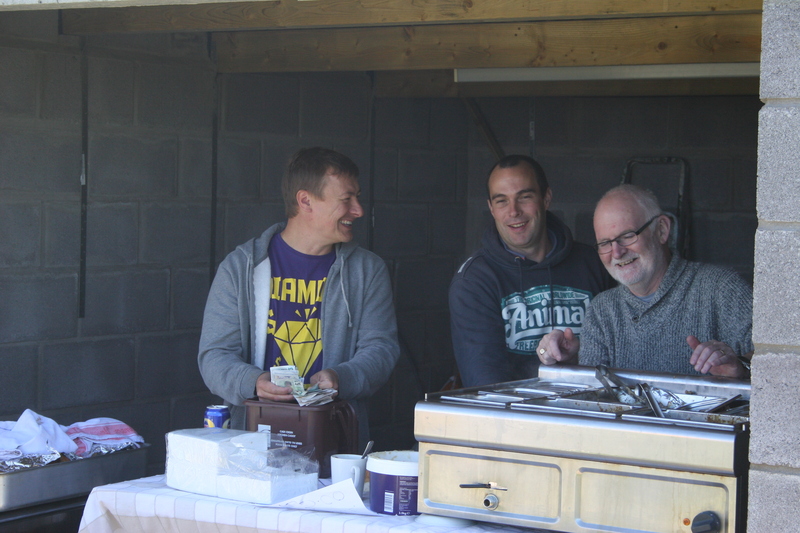 The St.Asaph club has risen rapidly in recent seasons overtaking St.Asaph based neighbours Y Glannau as the (now) city’s highest ranked club. In November 2012 the clubs’ Roe Plas pitch was seriously flooded when the adjacent River Elwy burst its banks. 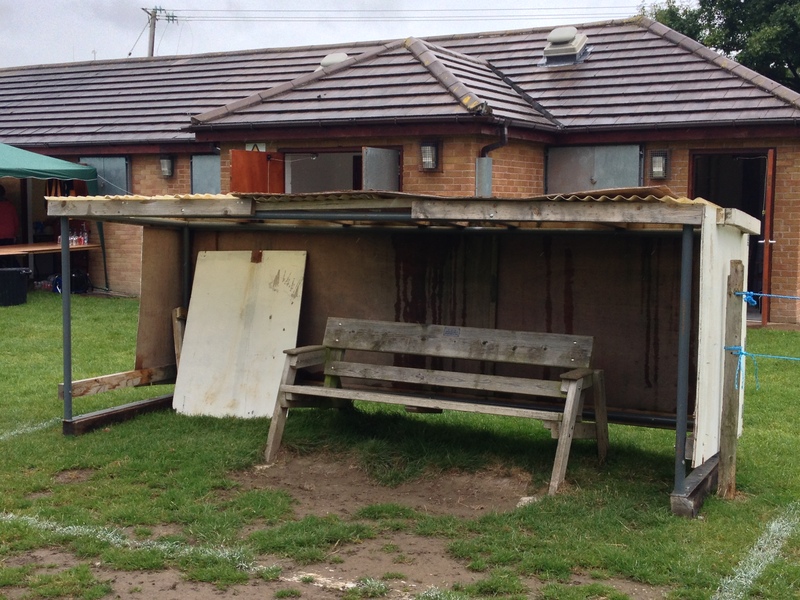 The club successfully applied to UEFA for a £10,000 grant to repair the damage and this was a catalyst for elevation to the Welsh Alliance for the 2013/14 season. 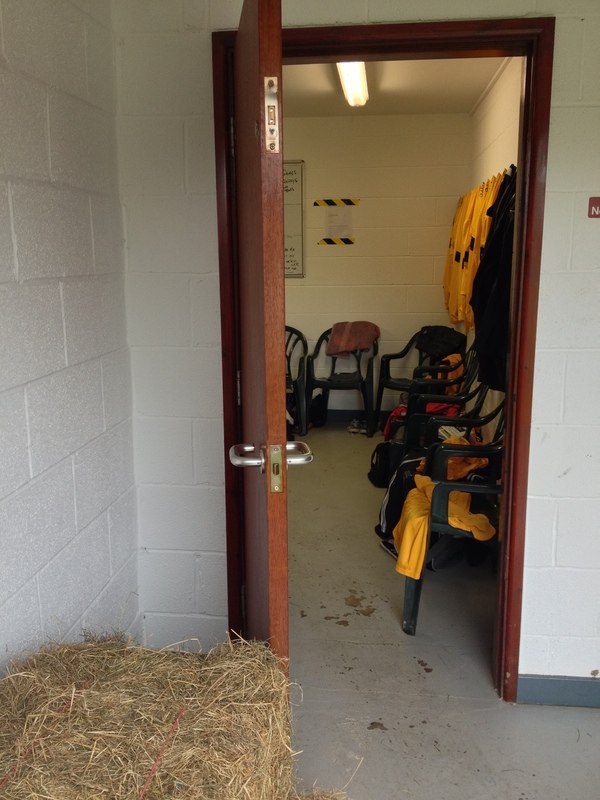 The facilities are still basic, the away dugout moved alarmingly when a Mochdre sub leaned against it! The hosts dominate the game and should have been more than three goals up when Mochdre (which translates as “Swinetown”) grab a late consolation as the forecast rain began to get heavier. In scenes redolent of The Brittas Empire the match was originally cancelled following a dispute between the football club and the leisure centre management. 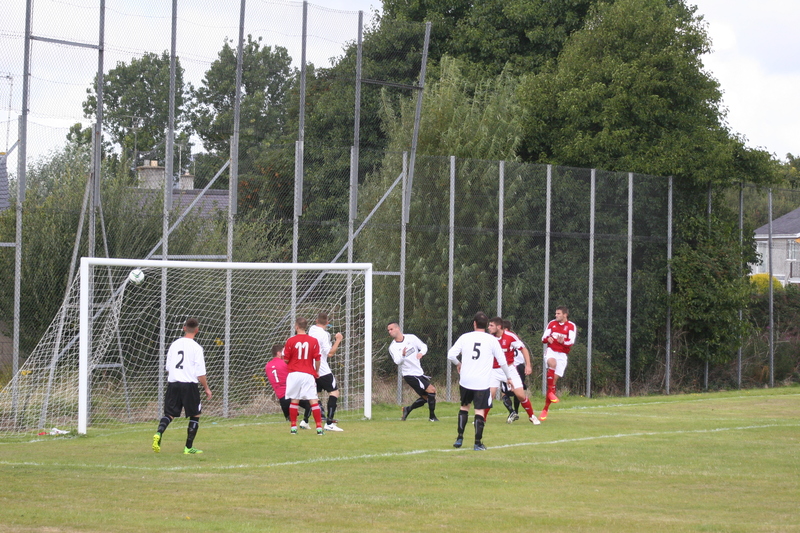 It centred over soil mixed, as it turned out, with sizable pieces of aggregate being strewn over the Kinmel Bay pitch. Patently it could not be used in that condition and an eleventh hour meeting saw the game take place on the back pitch. The onslaught of predicted monsoon weather saw the elements triumph as the sides played out a 2-2 draw. 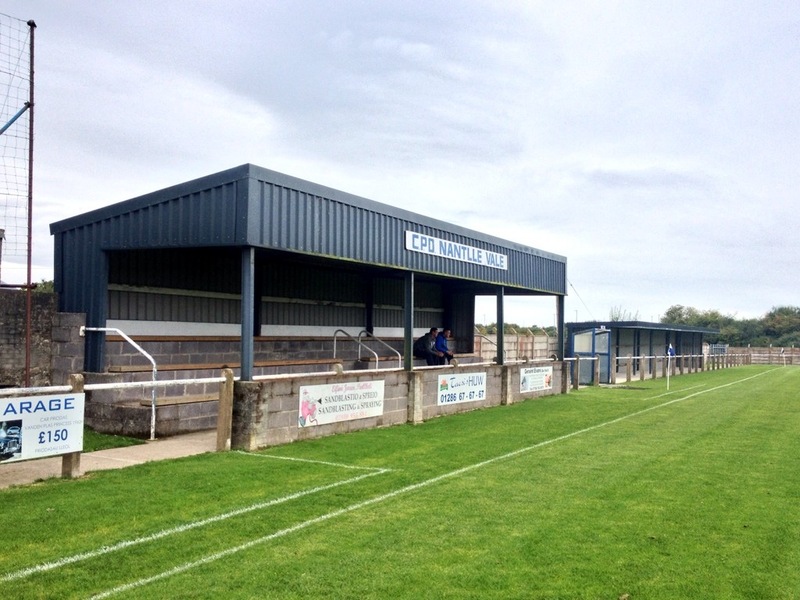 Kinmel Bay had ironically moved to the venue having dominated the Clwyd League under their previous guise of Abergele Rovers. 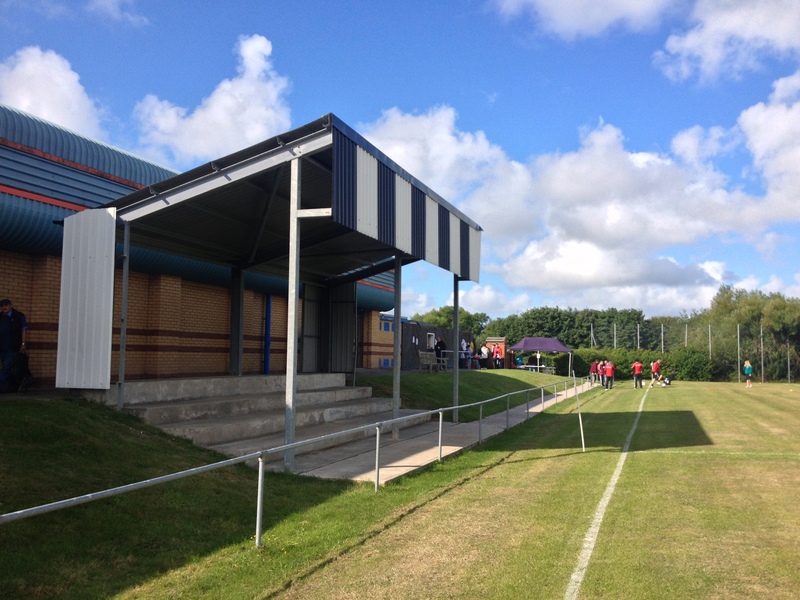 Rovers’ Parc Pentre Mawr had scant facilities and the move to Kinmel Bay Leisure Centre gave the club an opportunity to progress. Hopefully the ground dispute will be settled amicably in the not to distant future. 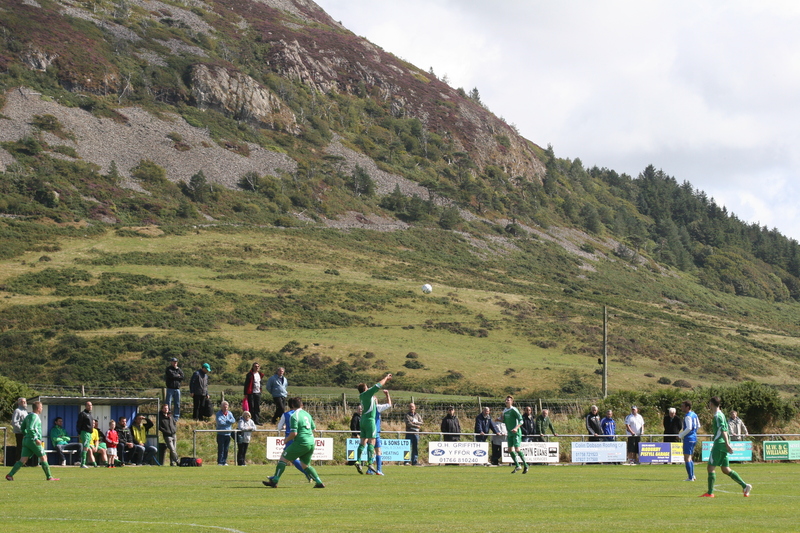 What a great weekend of football in the mountains and coasts of North Wales. 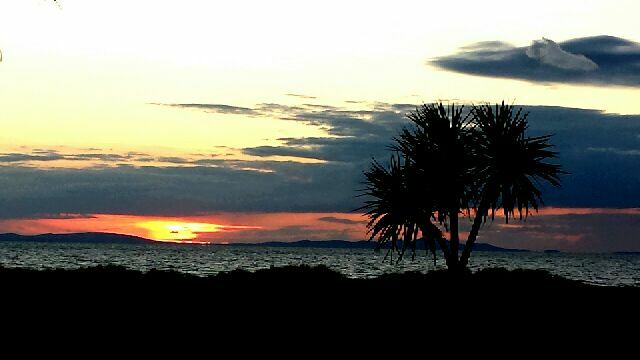 It was truly lovely to stay in Barmouth, a frequent holiday destination as a young football watcher. When the Welsh sing of “Bread of Heaven” I have often wondered what they mean but I believe weekends like this give an outsider just a small slice of it! Next years’ hop will be the last in this excellent league, you really ought to come. 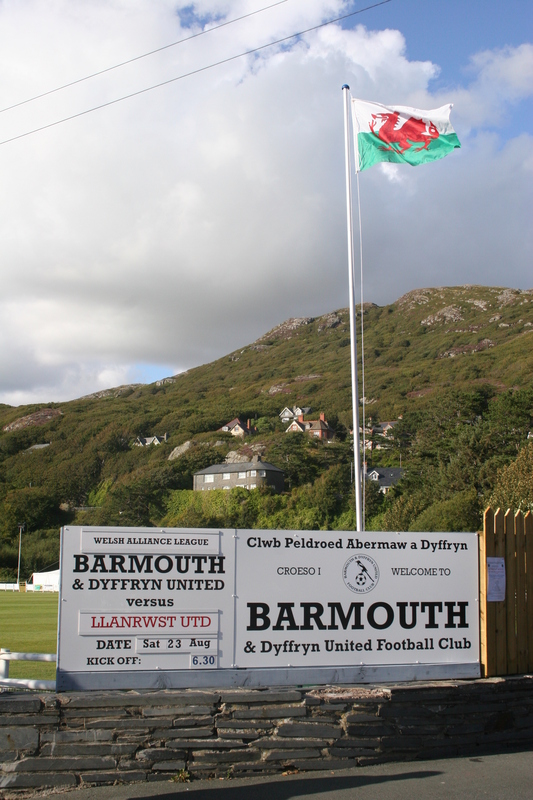 This entry was posted in Travel, Matches & Stadiums and tagged Barmouth and Dyffryn United, Blaenau Ffestiniog Amateurs, groundhopping, Halkyn United, Holywell Town, Kinmel Bay Sports, Nantlle Vale, Nefyn United, Penrhyndeudraeth, Pwllheli, St.Asaph City, Welsh Alliance, Welsh Groundhop 2014 by peterrmiles. Bookmark the permalink.